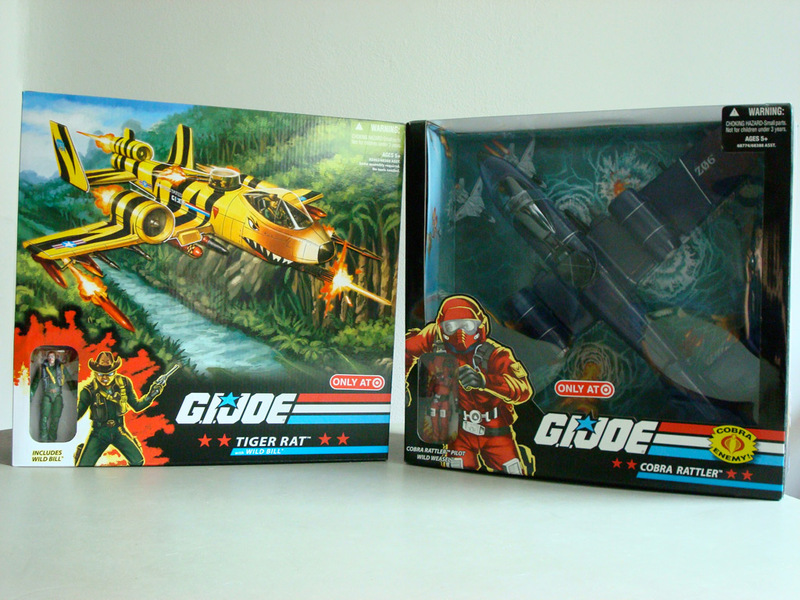 The latest Target exclusives have hit the shelves. 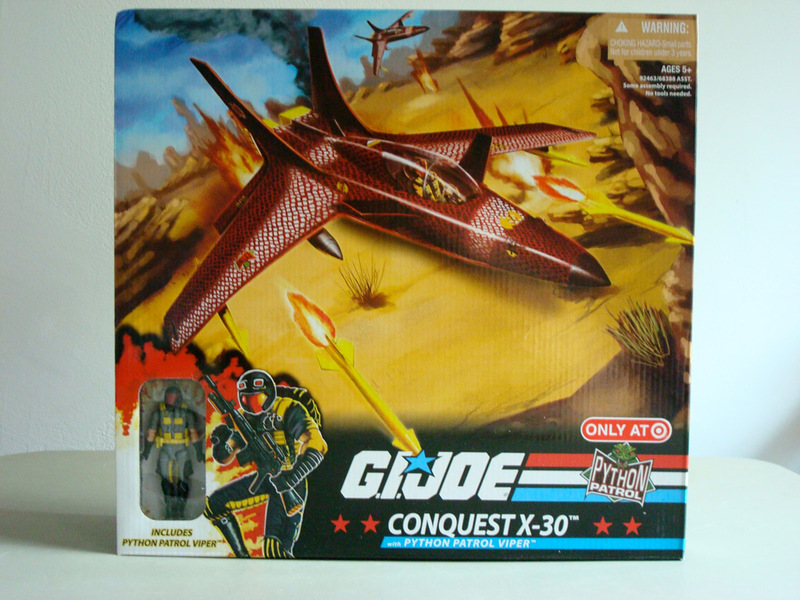 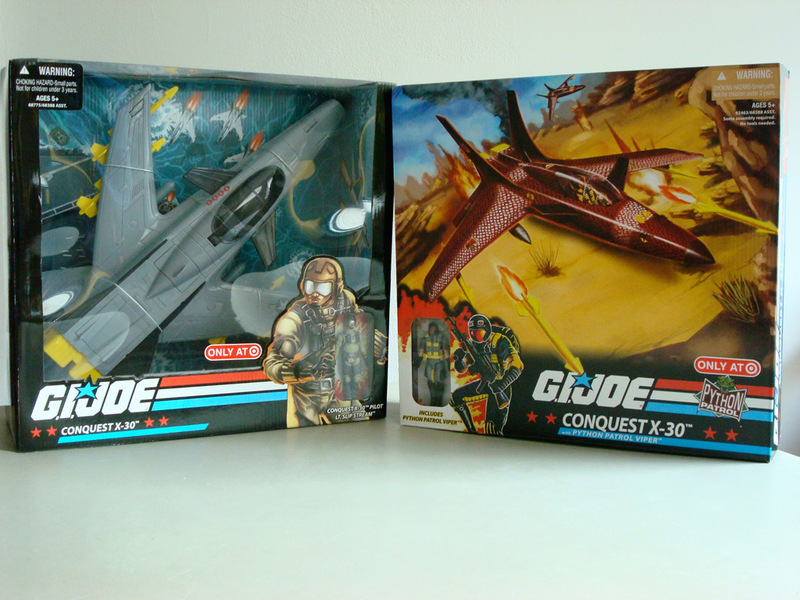 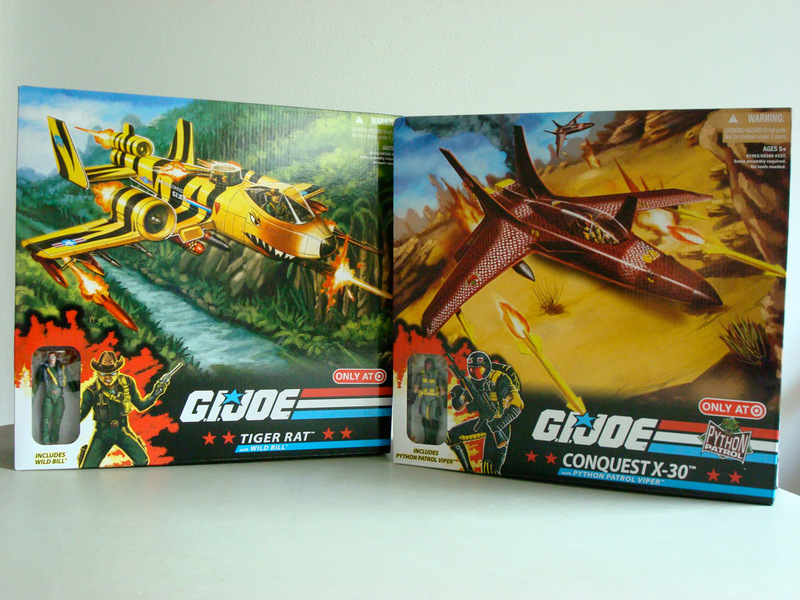 This time they are repaints/redecos of the Conquest X-30 and the Cobra Rattler, but instead of being packaged in a window box, they are boxed with art showing off the vehicles in action. 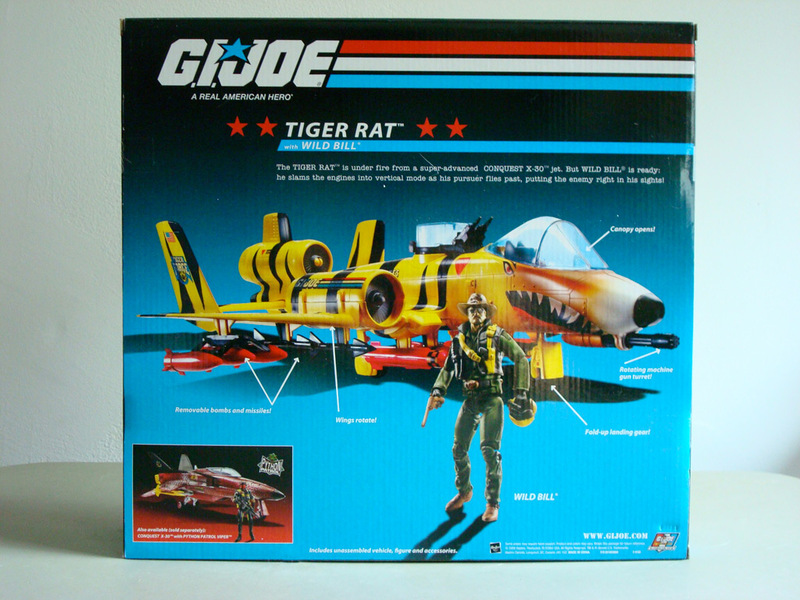 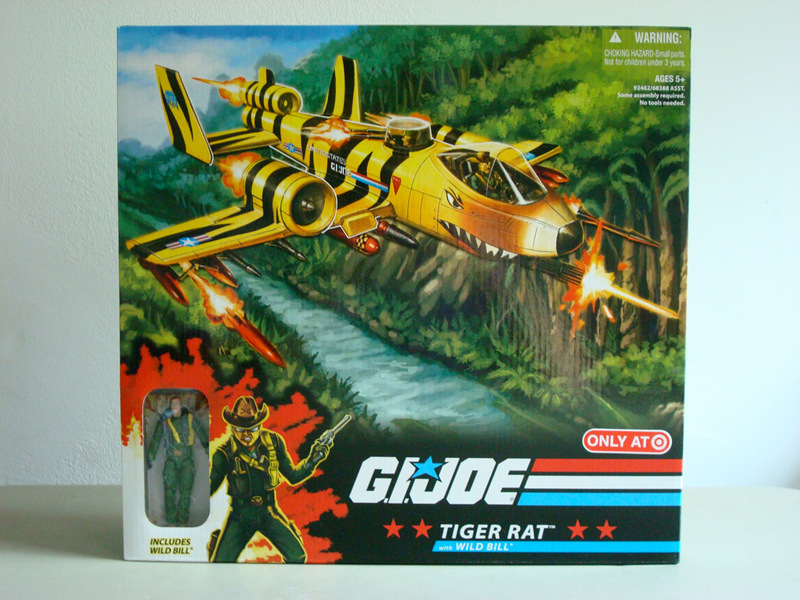 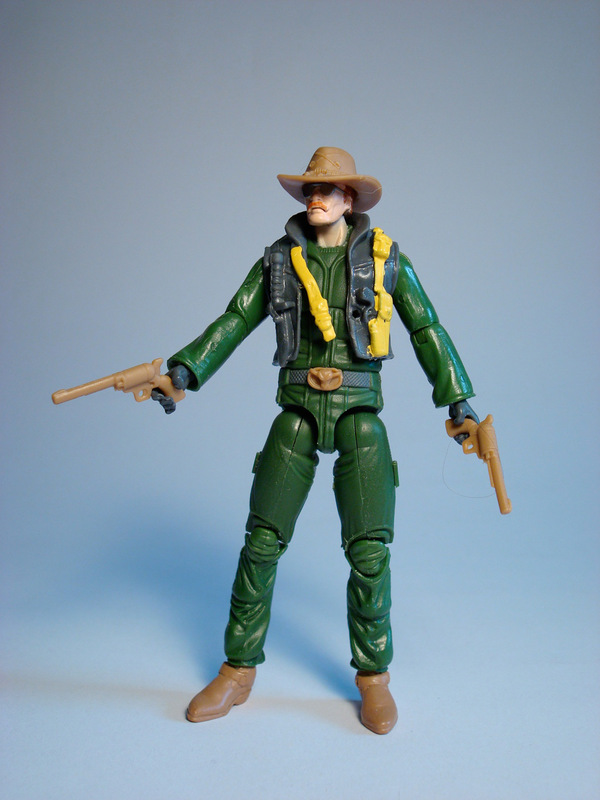 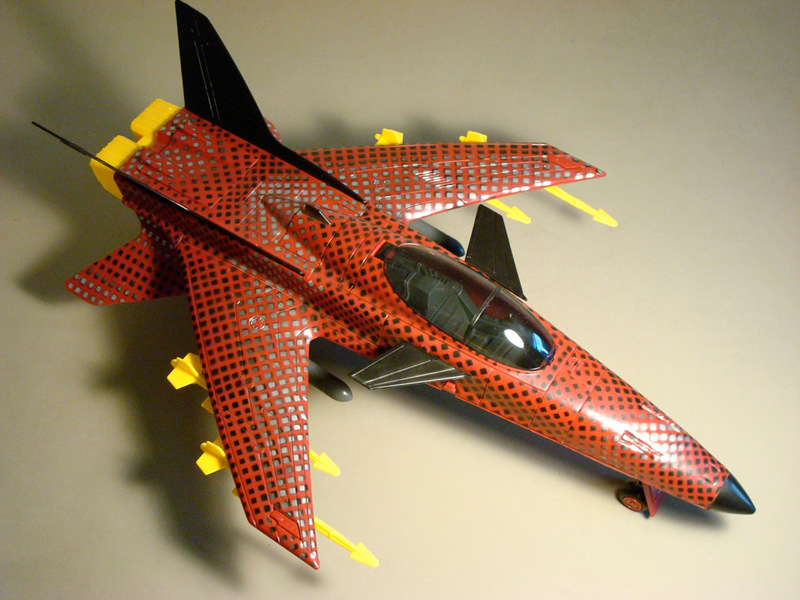 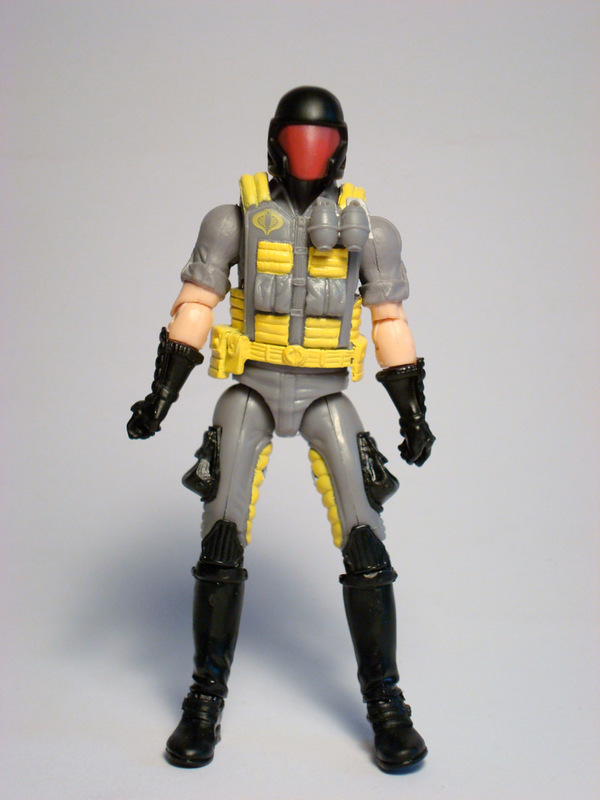 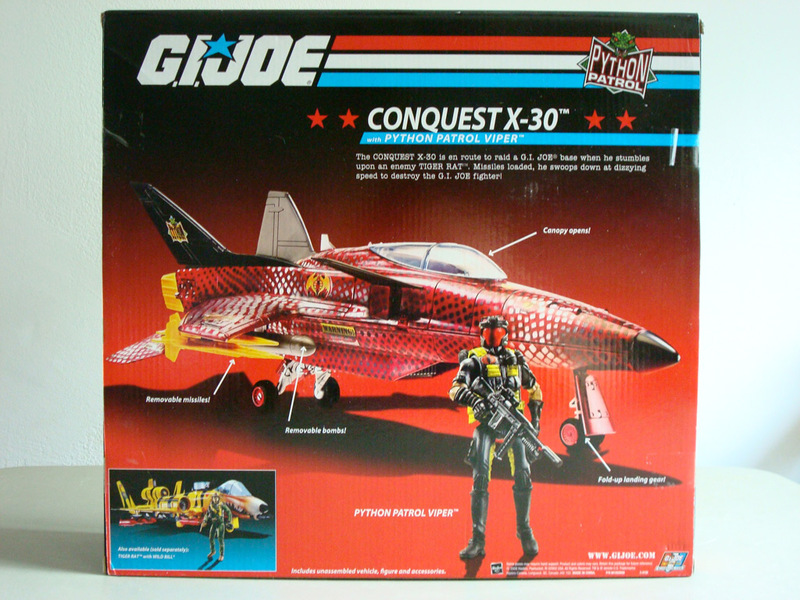 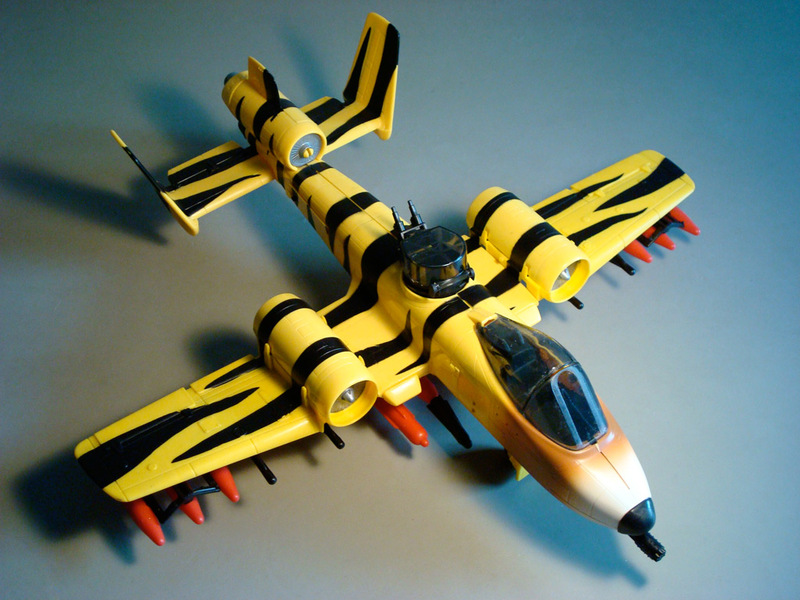 The Python Conquest X-30 comes with the Python Patrol Viper and the Tiger Rat comes with the Tiger Force version of Wild Bill.